Hailed as "outstanding" by the Boston Musical Intelligencer, clarinetist Kristian Baverstam performs regularly in the United States and abroad. Baverstam is principal clarinet of the Boston Civic Symphony. He was recently featured as soloist with the orchestra, performing "Viktor’s Tale" by John Williams, which garnered him praise as "an excellent soloist." Baverstam also performs with other Boston area orchestras, including the Pro Arte Chamber Orchestra of Boston, the Bach, Beethoven and Brahms Society, Plymouth Philharmonic, Metropolitan Chorale, and Symphony Nova. Since 2016, Baverstam has been on multiple tours of Japan and South Korea, performing as soloist and chamber musician with cellist Sebastian Baverstam. Baverstam is launching his debut album with pianist Ilya Kazantsev later this year, to be released on Bostonia Records. Baverstam has been a member of the clarinet faculty at the New England Conservatory Preparatory School and School of Continuing Education since 2008, where he is the director of winds and brass at NEC’s Festival Youth Orchestra. 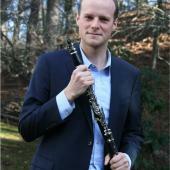 He serves as clarinet faculty at Massachusetts Institute of Technology and is affiliated with Tufts University. In recent years, Baverstam has been awarded fellowships to the Texas Music Festival, where he performed with the festival orchestra at the Moores Opera House in Houston. Baverstam holds a Bachelor of Arts from Boston College and a Master of Music from the Boston Conservatory.